Yep, it's that time again. The end of the year when everywhere you look there's a recap of something. I guess it's a good thing to look back and see what we've accomplished or learned. And since I'm nowhere near as funny as David Letterman, I'll keep this short and sweet. But really, can you believe another year has come and gone? 2 of these are "round up" posts. 4 of these posts are paint related. 9 of them involve a tutorial, tip, or ideas for redoing something. I'm paying close attention to what y'all like to read so look for more like these in 2015 and beyond! Is there anything specific you'd like me to write about? I love to get requests! Now without further ado, here's the most popular posts written in 2014. Click on the title to read the post. I'm happy this post made it into the top ten in spite of being written and posted in December. I love Christmas and decorating for it. Another late year post. 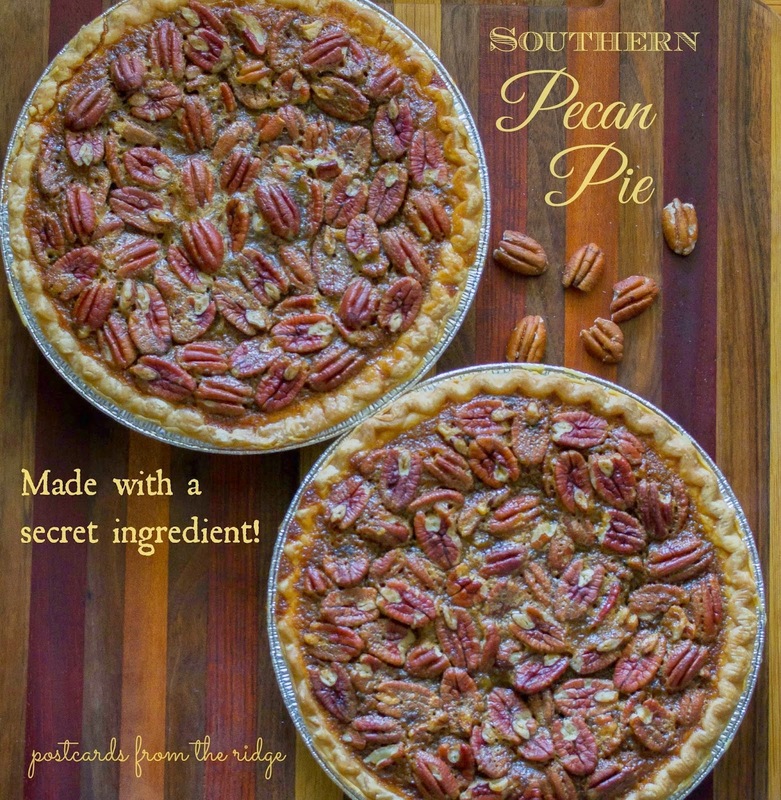 I'm planning to add recipe posts more often in 2015. I hope y'all like to eat! Nothing technical at all in this post. 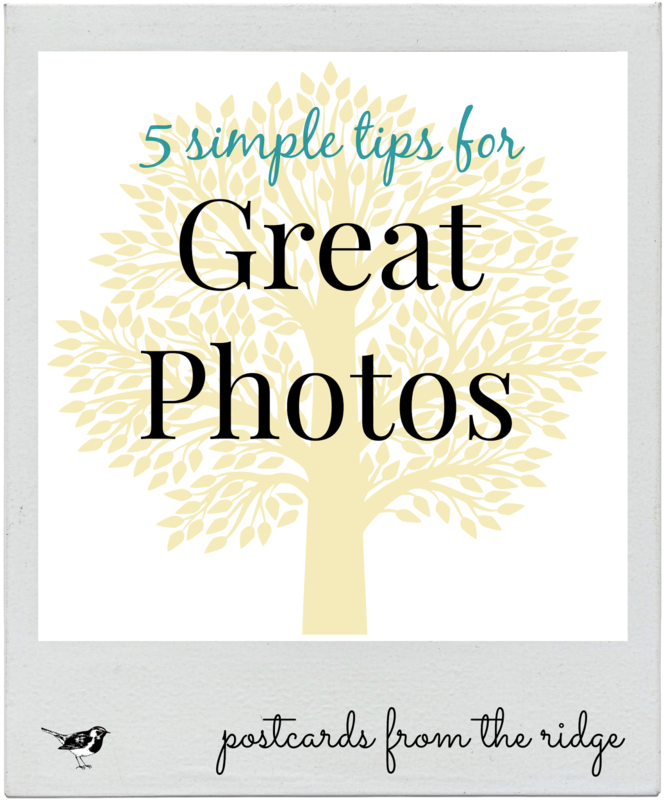 These tips can even be used with the camera on your phone. Easy as pie. 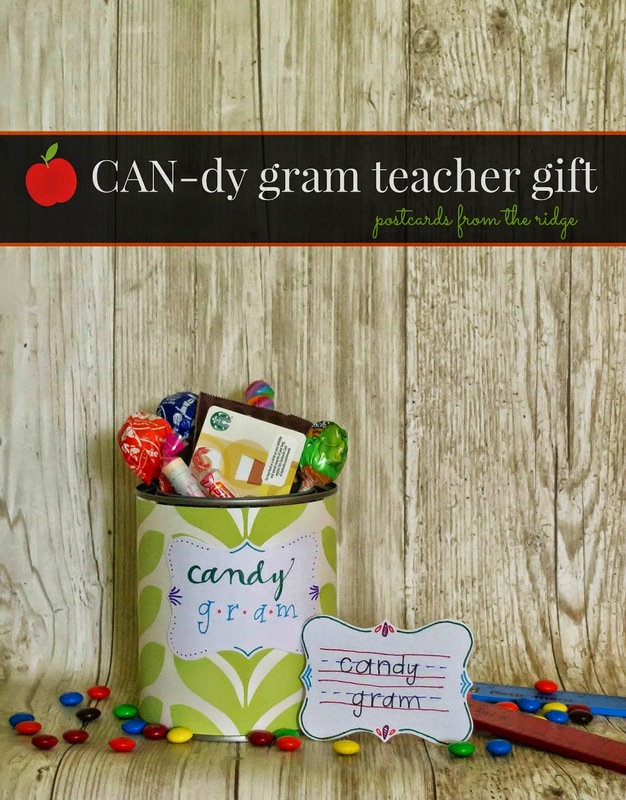 This was a fun post involving candy. Need I say more? 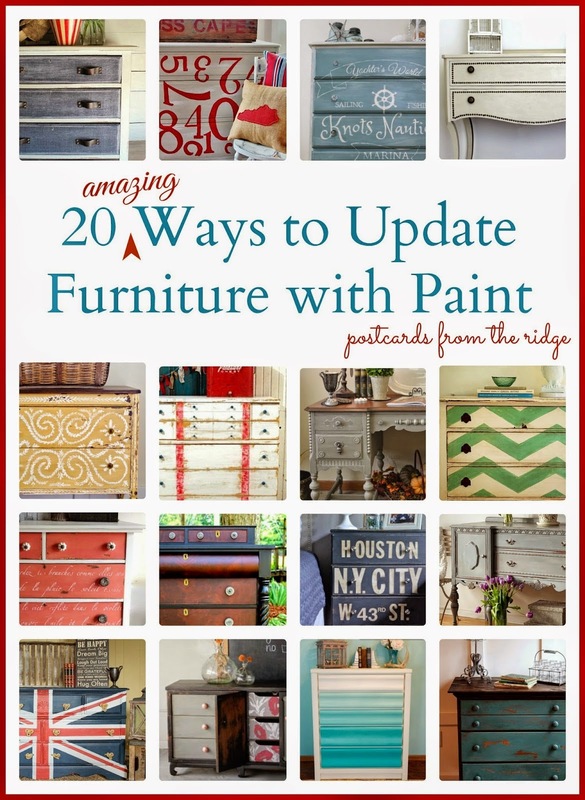 Here are 20 painted furniture projects from various talented bloggers showing 20 different ways to use paint to update boring furniture. There are some really great projects in this post. This was a fun project I did for my college freshman daughter who wants to travel the world. It's low cost and easy to make. 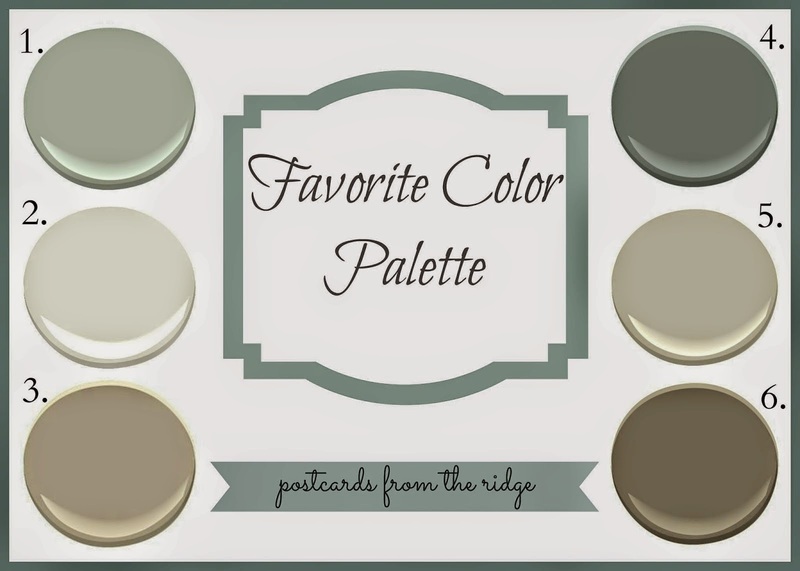 Since my post on Benjamin Moore Revere Pewter is the most popular "favorite color" post, I put together a palette to complement that color. Aren't these beautiful colors? Mason jars. And they're green. 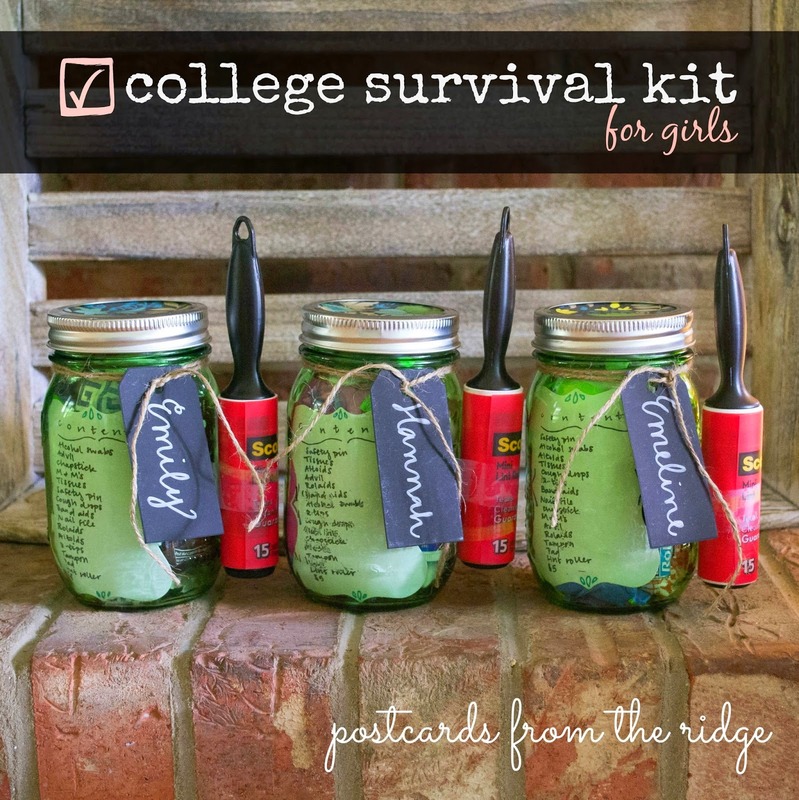 Filled with things that college kids need. No wonder this post is so popular. 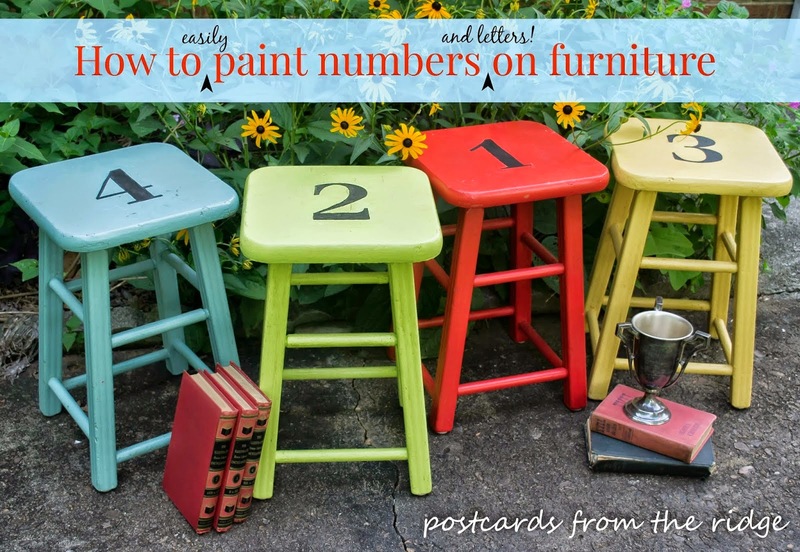 This post involved some colorful stools and an easy tutorial. We use these stools all the time for extra seating and end tables. I'm so glad they got a makeover! 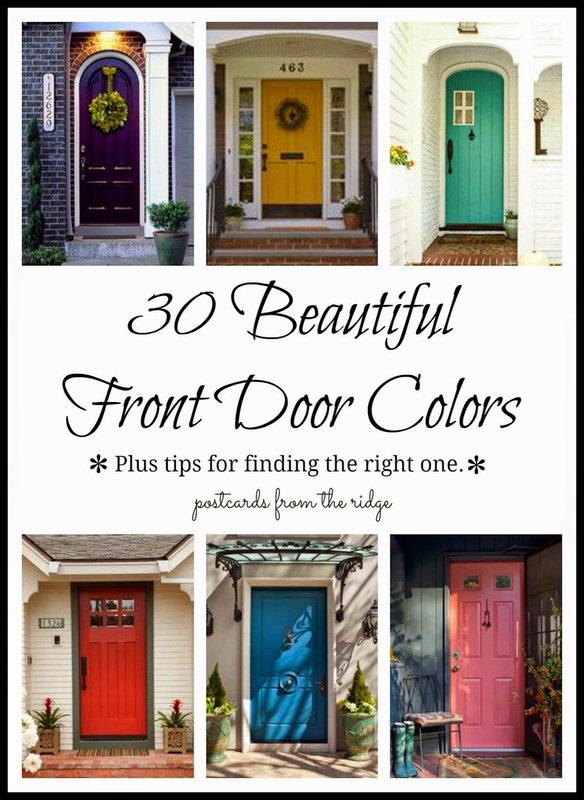 Apparently everyone wants to know what color to paint their front doors and this post has made it to #3 of all my posts since I started blogging almost 4 years ago. Color names of each door are included. And the most popular post I've ever written is this one. 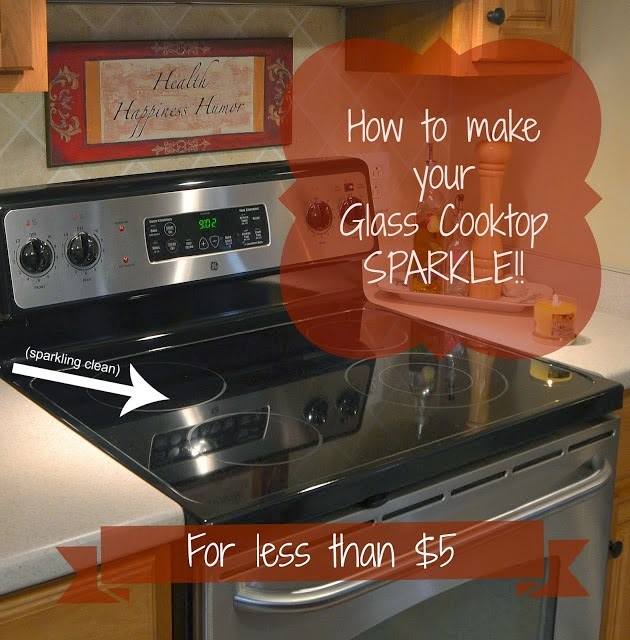 A clean stove top is a must!!! And we're working on clearing out a space in our garage so I can have a real workshop. I'm itching to build things and I'm nervous and excited all at the same time! Any topics or tutorials you'd like to request? Leave me a comment below and let me know. I'll do my best to learn about it and write a post. 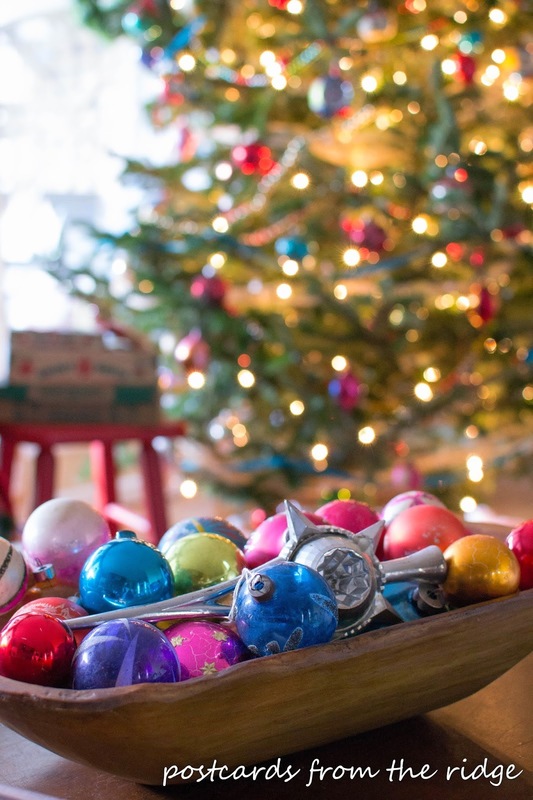 Want to see lots of other fantastic posts from 2014? Drop by and visit some of my friends to see their best. 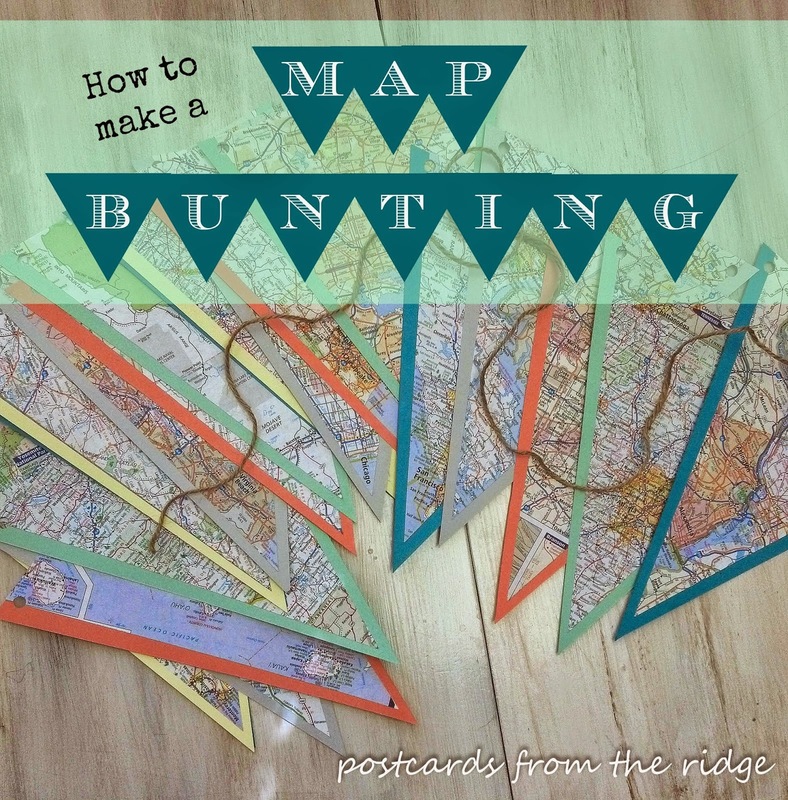 Love the map bunting and the stools. My favs of 2014. Happy New Year Angie! I love the color stools. They are great. 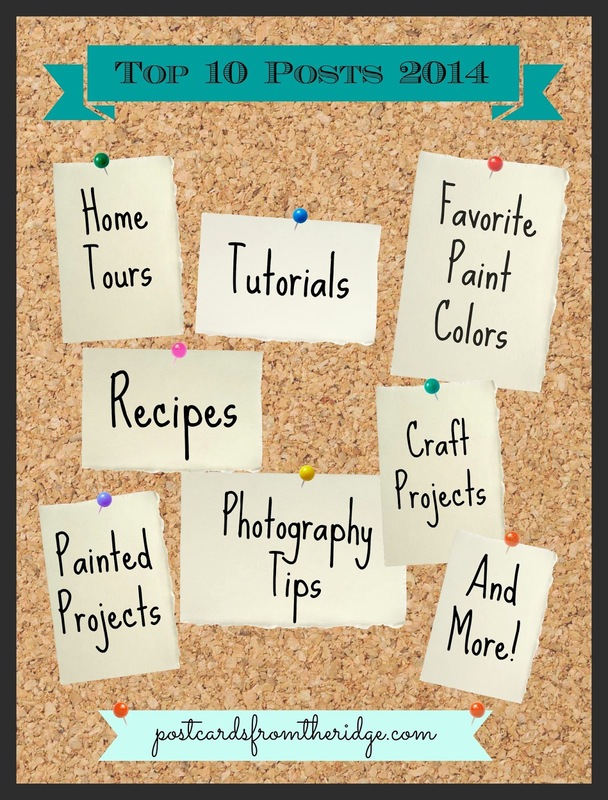 You've had so many great projects this year! Those pewter paint colors are just what I need to see right now as we have a few rooms that need paint. My mom just got a new glass top stove and I'll have to buy some Bar Keepers Friend for her. She will love being able to clean her stove easily. Bar Keepers Friend is such a great cleaner. I use it on the sink too. Angie, Happy New Year! I enjoyed your top 10 posts! 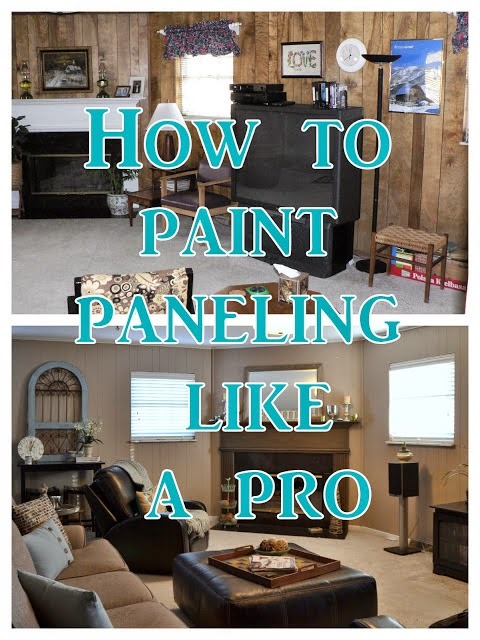 Pinning and sharing of course.. Love the color swatches..my house is painted in Revere Pewter, It' such a great neutral. Again, Happy New Year and wishing you lots of success in 2015! Happy New Year Angie! I cannot wait to see what 2015 has in store! ~Tami @ Curb Alert! Welcome to our Christmas Home!